The area around the hotel was crammed with hundreds small Japanese restaurants and more than a few brasseries, trattorias and tapas bars. As all menus are in Japanese, there are no clues as to what is on offer at any particular establishment. 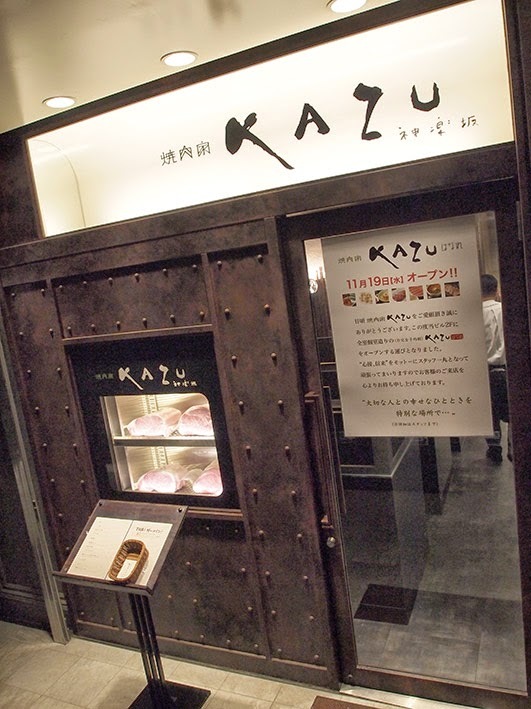 We struck lucky at 'Kazu', a yakinku (grilled meat) restaurant off Wasedi Dori this evening which provided a continuous supply of delicately marinated wagyu beef for grilling on a central hotplate. 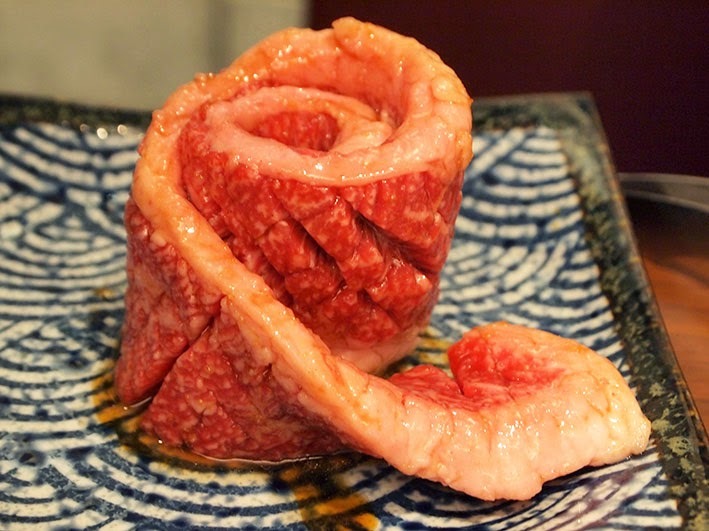 The staff demonstrated the area from which the particular cut of meat came with a game of culinary charades until the manager brought a handy ‘Textbook of Yakinku’ (ISBN 9784800211149) which I need to get in English. Now, where can I buy a Japanese table-top grill in Singapore?